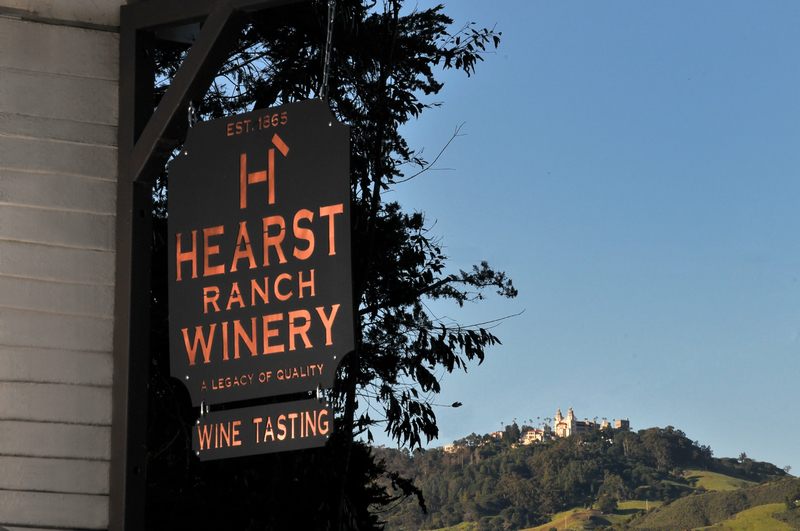 Heart Ranch Winery is a partnership between Steve Hearst of the Hearst Family (yes, that Hearst Family – William Randolph Hearst and Hearst Castle and all that) and Jim Saunders (owner of Saunders Vineyard in the Paso Robles AVA). The place is Paso Robles as the red wine grapes come from Saunders Vineyard and other Paso area vineyards. The Chardonnay is intelligently sourced from Monterey County as Paso is not the best place to grow white grapes. The wines are made in a clean, balanced, easily accessible but not at all dumbed-down style. The result is some of the easiest to drink and like wines I have tasted from Paso Robles after Calcareous and Linne Calado. While Steve Hearst is a business partner hear, the motive force behind these wines is Jim Saunders. So Saunders is the persona and Paso is the place. The Chardonnay is classically Monterey. 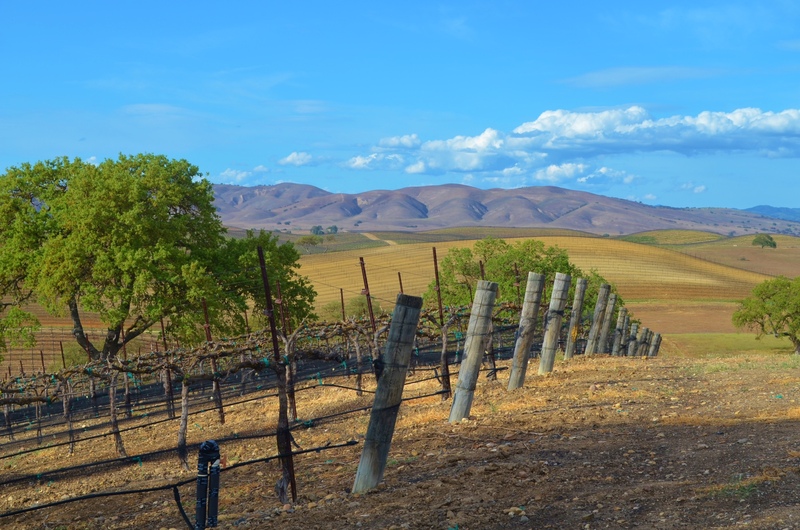 The red all offer some Paso ripeness and character with none of the raisin or prune notes and none of the jammy-ness that often mess up Paso’s reds. 100% Chardonnay fermented 70% Stainless steel and 30% Neutral French and American oak barrels with no malo-lactic fermentation. Aged 10 months in barrel. Green straw color with well formed legs; dry, medium-bodied with freshly balanced acidity and scant phenolics. Supple ripe Monterey tropical fruit and fruit cocktail Chardonnay. Delicious and easy to drink with a bit less alcohol than many other Chardonnays in this style range. BearScore: 90+. A blend of 42% Syrah, 33% Mourvedre, and 25% Grenache (50% estate fruit) aged 18 months in neutral oak barrels. Red-purple in color with well formed legs; dry, medium-bodied with freshly balanced acidity and medium-light phenolics. Elegant balanced Rhone-style red blend with brighter than expected red fruit and hints of earth and spice and dare I say (dare, dare) garrigue. Fresh and lively; easy to like and drink. BearScore: 91. An unusual blend of 50% Tempranillo, 28% Petite Verdot, and 22% Zinfandel (2/3 estate fruit) aged 18 months in French oak barrels (none new). Red-purple in color with well formed legs; dry, medium-bodied with freshly balanced acidity and medium phenolics. I tasted none of the varieties in this but it is nevertheless an excellent, balanced, flavorful claret-style red that belies the stereotypes of Paso Robles. Red fruit and spice and a bit of mineral earth. Elegant and delicious. BearScore: 91+. 75% Cabernet Sauvignon, 9% Petite Verdot, 7% Cabernet Franc, 6% Malbec, and 3% Merlot aged 18+ months in all French oak barrels (none new). Purple-red in color with well formed legs; dry, medium-bodied with freshly balanced acidity and medium phenolics. Elegant, balanced, supple fresh claret-like Cabernet that tastes like Cabernet with darker red fruit and spice and tobacco. Easy to drink and like. BearScore: 91+. 95% Cabernet Franc with 5% Petite Verdot aged 15+ months in all French oak barrels (10% new). Purple-red in colo with well formed legs; dry, medium-bodied with freshly balanced acidity and medium chewy phenolics. Elegant and very Franc with some green bell pepper and tobacco leaf to go with medium and darker red fruit. Hints at leather and mineral. BearScore: 91+. 100% Petite Sirah aged 18 months in all French oak barrels (20% new). Purple-deep-red in color with well formed legs; dry, medium full-bodied with freshly balanced acidity and chewy phenolics. Real deal, somehow elegant Petite Sirah from an area better known for strapping, over-the-top wines. Deep but not heavy with darker red and some black fruit with black pepper and earth that hints at coffee grounds. Delicious. BearScore: 92.